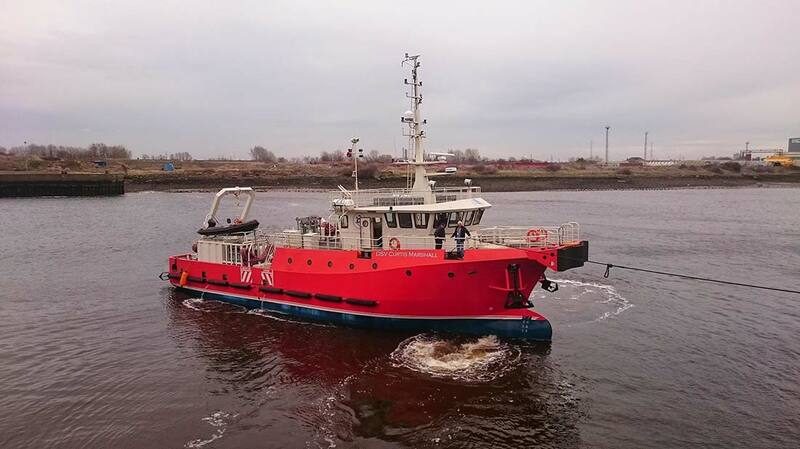 The DSV Curtis Marshall has now supported over 100 successfull air dives, In addition to this she has also supported large airlifting operations, where in addition to all dive systems, a large road compressor and 20ft airlift was carried to assisst with removal of sea bed. 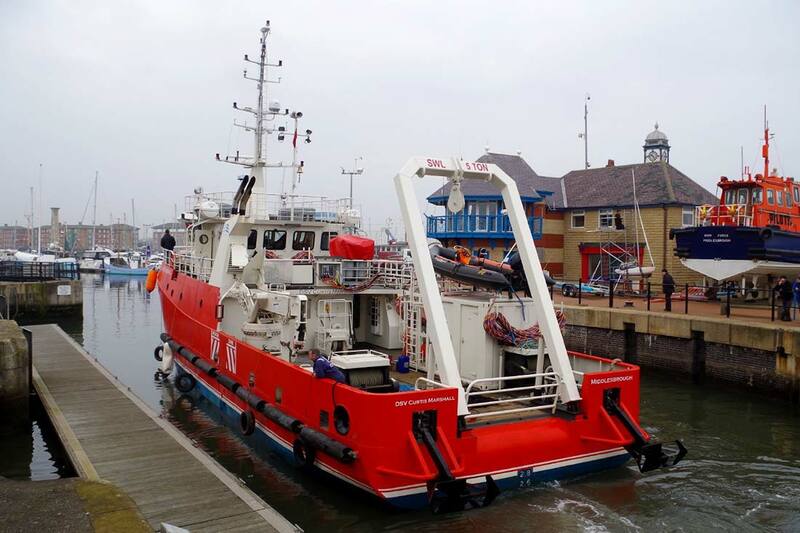 The DSV CURTIS MARSHALL is now a proven multi purpose working platform. Unique Bow Fender Assy -Designed specifally for the offshore wind market the vessel is equipped with a bespoke design bow fender for engaging with the with the wind turbine fender. The design incorporates load cells for turbine load monitoring, this data can be logged for client records. 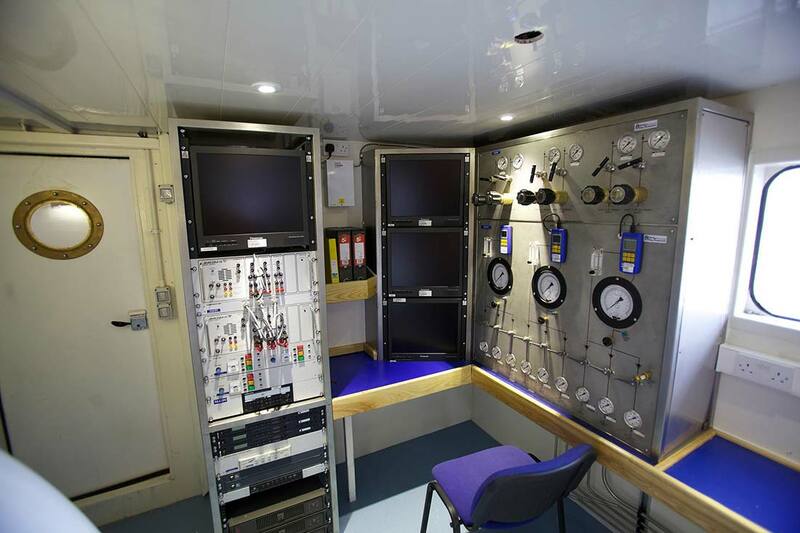 Ballast Water transfer system- With a fresh water capacity of circa 25,000 litres, water can be transfered between either of the two aft tanks and the forward. tank. 12.5 tonne lift capacity - The location of the Atlas crane on the port side of the main deck allows DSV Curtis Marshall to lift 12.5t over the side of the vessel. 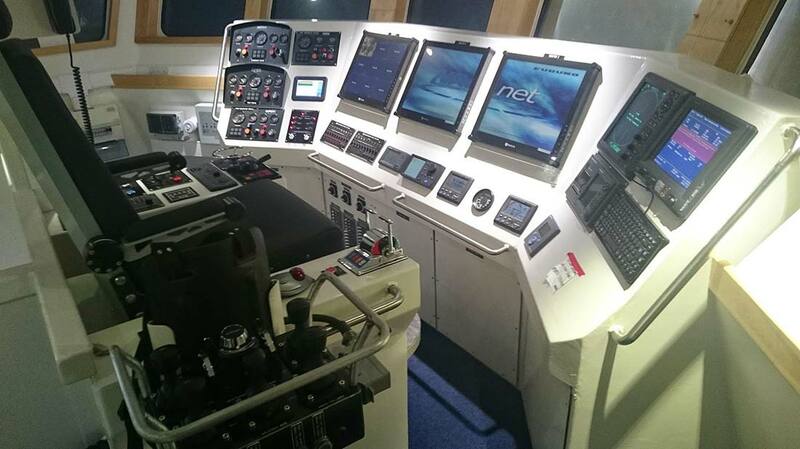 Full Walkabout Vessel Control - Bespoke walkabout control system detachable from the helm position which can control all four mooring winches, steering, propulsion and bow thruster. Twin Doosan 4V158TIH engines each producing 530BHP coupled to 60" props developing 40 tonne of thrust. 4 point mooring system including 7 tonne winches with 800m of 20mm wire. 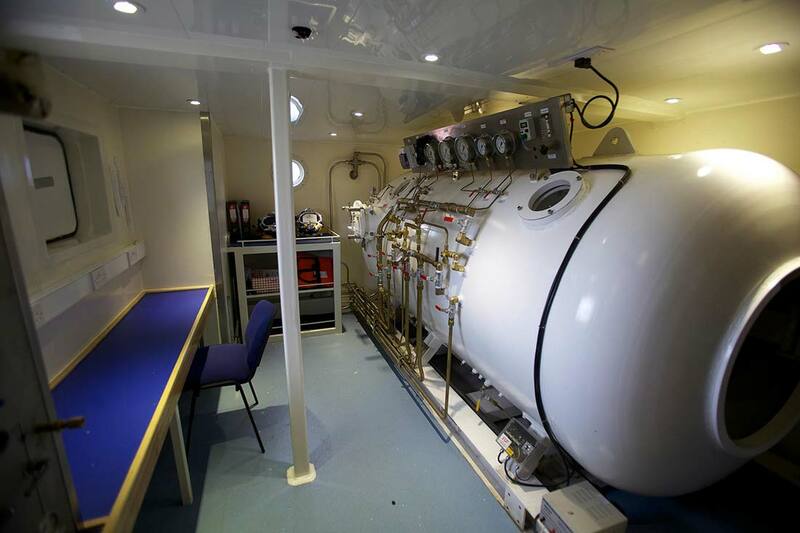 For all enquiries please contact Sub Aqua Diving Services using the contact page, or telephone 01642 230209..